An overview of the last month is included in our plugin. 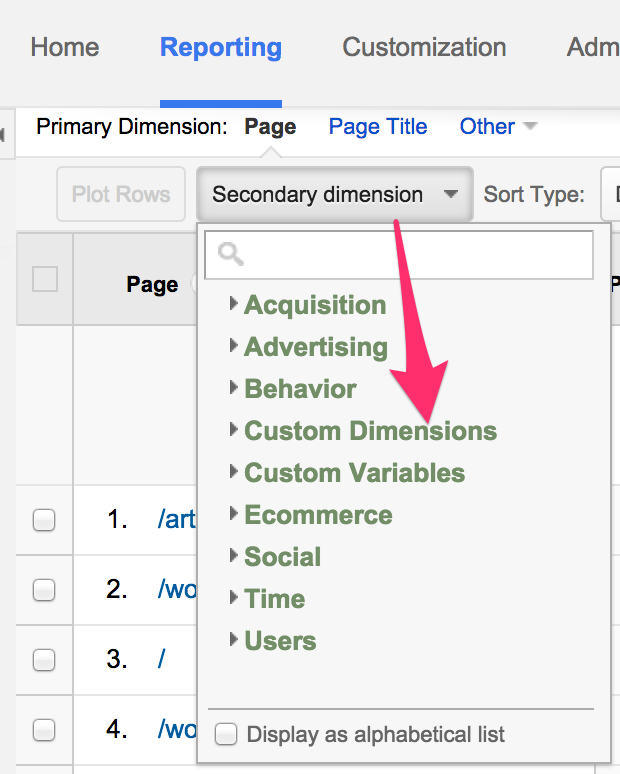 The following steps help you see customized reports using the custom dimensions directly in Google Analytics. 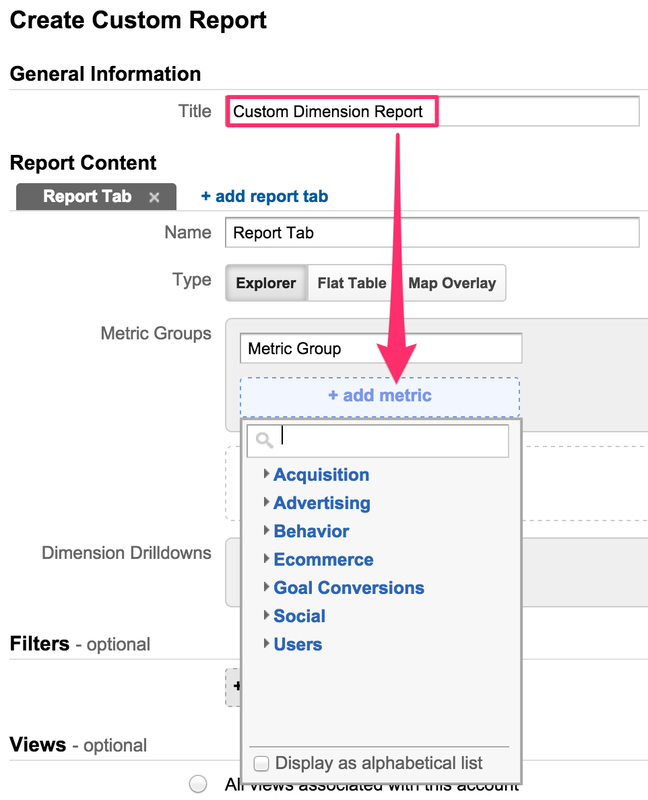 Tip: A good place to start for your metric is the "Pageviews" metric. You're done! 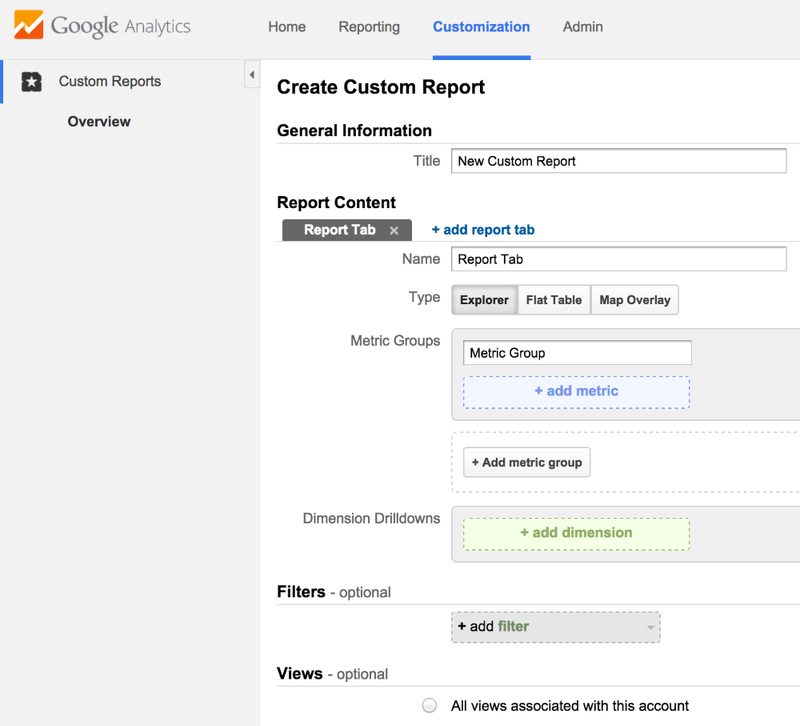 After you've hit the Save button you'll be taken to your very own Custom Dimensions Report! 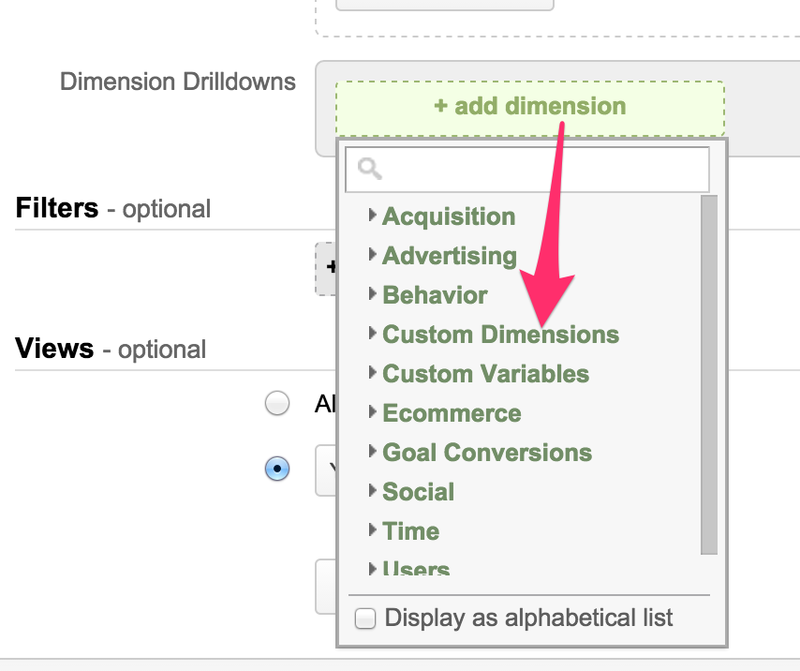 Select the Custom Dimension you want to view here, and that's it!